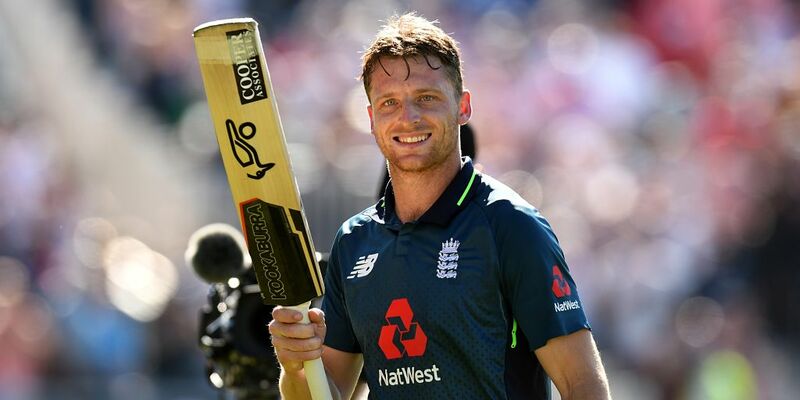 FirstPost.com (India) – Birmingham: Jos Buttler will be promoted to open the innings in England’s lone Twenty20 international against Australia at Edgbaston on Wednesday, team management have confirmed. Birmingham: Jos Buttler will be promoted to open the innings in England’s lone Twenty20 international against Australia at Edgbaston on Wednesday, team management have confirmed. He has opened once before for England in his 61 T20 internationals, making an unbeaten 73 off 49 balls – his highest T20 score for England — when Sri Lanka were beaten by eight wickets at Southampton in 2016. Buttler has usually been deployed as a middle-order batsman by England but, having been recalled to the Test side earlier this season, they are now determined to cash in on his recent brilliant form in white-ball cricket. The wicketkeeper-batsman was named man-of-the-series after England’s 5-0 rout of world champions Australia, with his brilliant 110 not out sealing a dramatic one-wicket win in the fifth one-day international at Old Trafford on Sunday. Paul Farbrace, deputising as head coach in place of Trevor Bayliss for this one-off match and next month’s three T20s against India, confirmed the 27-year-old Buttler’s promotion by telling reporters at Edgbaston on Tuesday: “He will open tomorrow (Wednesday).